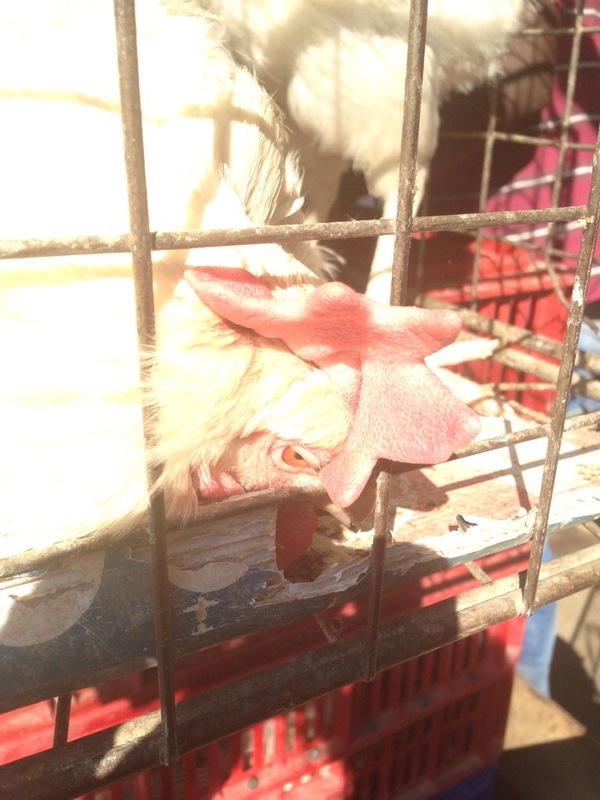 I recently went to a cull depot to purchase some ex battery hens and was witness to the most dreadful animal cruelty. 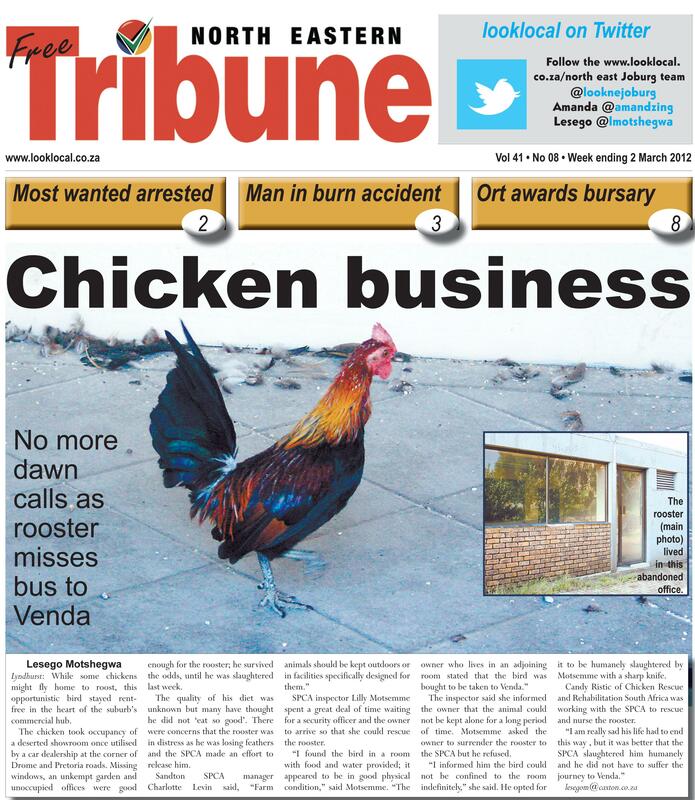 I attach photos and ask that the sale of live hens to informal traders be stopped immediately. I am sure you will agree with me after seeing the shocking footage I managed to capture. The traders were forcing the live hens into wheelbarrows, tiny boxes, they were carrying the hens away by the feet, 2 or 3 in each hand, the owner of the bakkie of hens pictured here was forcing about 20 hens into a space big enough for about 4. He was actually injuring them deliberately in order to force more in. He knew he was being cruel because he didnt want a record of his cruelty. He asked me if I was from the SPCA. He then threatened me and forced me to delete the footage I had obtained. Fortunately his knowledge of cell phones was lacking and so I managed to keep the footage. I feel sure that you as a compassionate man will not allow this cruelty to continue. Plse use this link to see an electronic copy of Animal Voice. We have an article on pg 14, however the whole mag is fabulous, and is jam packed with interesting reads. 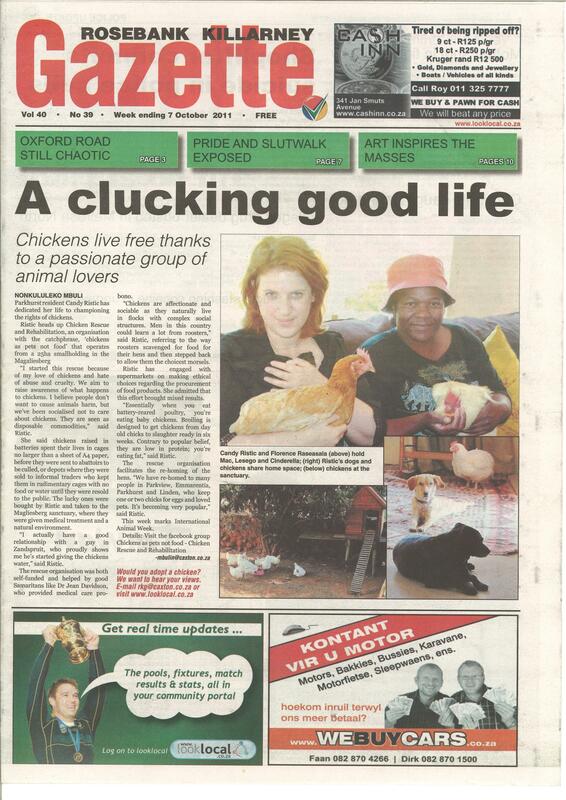 Compassion in World Farming http://www.facebook.com/#!/compassion.za?ref=ts facebook post below, has generated massive activity on our blog, and the offer from a number of different people to rescue and re home some hens. If this is something you are interested in doing, please leave a note for me on the blog, and I will get in touch via e-mail. 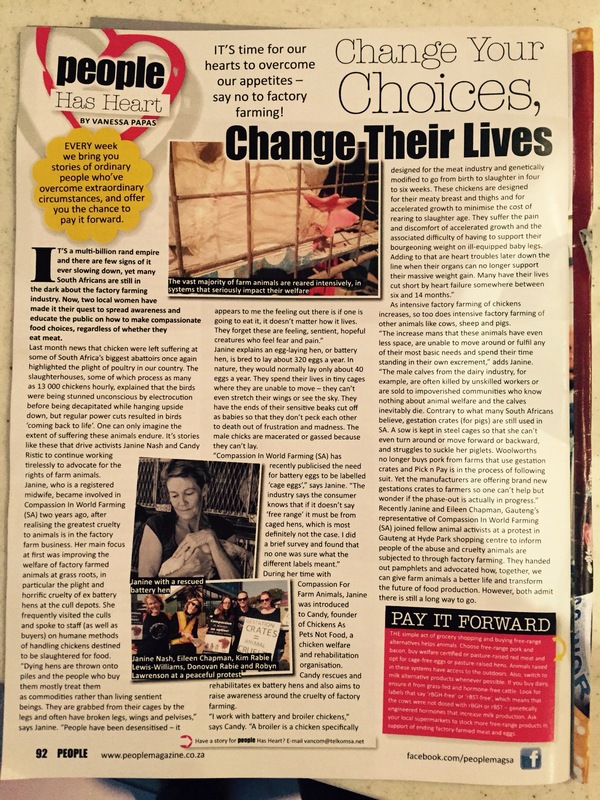 Compassion in World Farming (SA) Candy Ristic runs a chicken rescue and rehabilitation centre in Jhb. The April issue of Animal Voice (available soon!) features her first, heartrending experience with a broiler chick (she normally rescues ‘spent’ egg-laying hens). Selectively bred for their meat, at least a quarter of broiler chickens become lame arou…nd the last 20% of their short, 40-day lives – in chronic pain because their skeletons cannot support their extra weight. 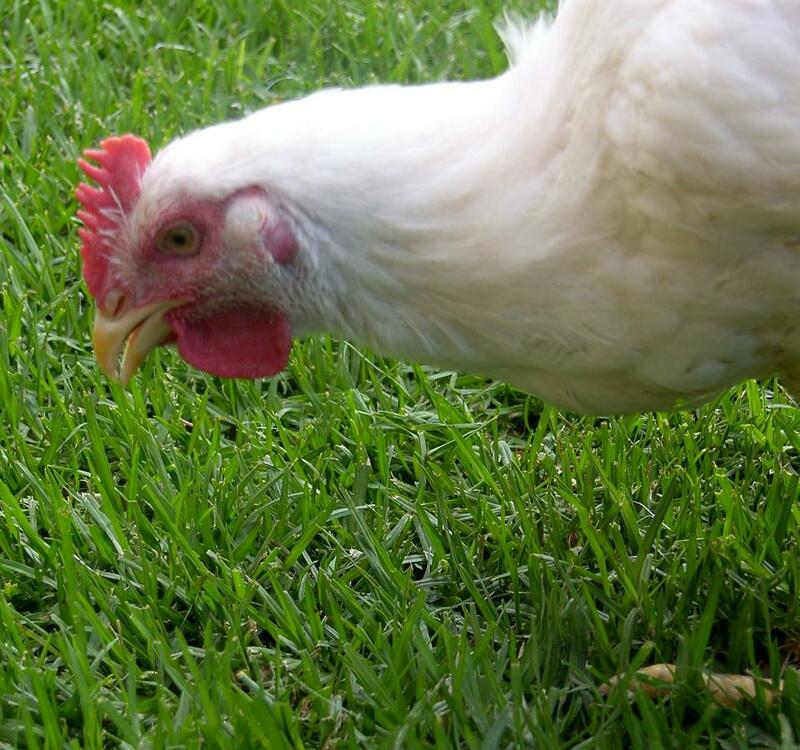 Read more about Candy’s chickens on her blog (link below). 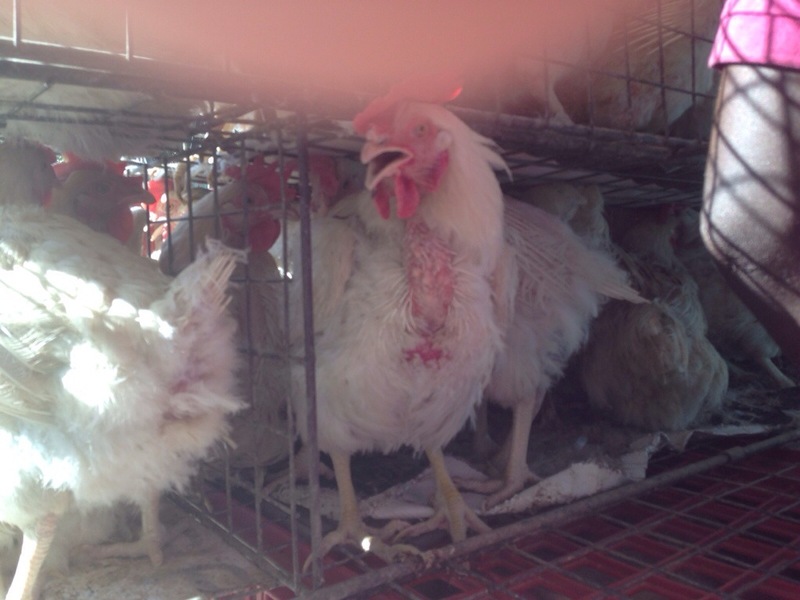 See More at Chicken Rescue and Rehabilitation, chickens as pets, not food.